Dussehra is celebration of triumph of good over evil. 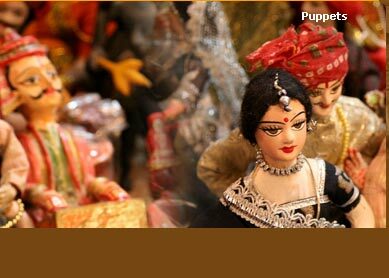 One of the main festivals of Hindus, Dussehra is celebrated all over the country with different names. The festivals better known with names like Durga Puja, Vijayadashmi, Mohani Nakha and Navratra is an annual festival occurring in the month of October every year. Dussehra is one of the most celebrated festivals in not only India, but also in neighboring Nepal. The very purpose and significance of Dussehra, according to mythologies, is to take ones ten sins away. This is what its name Dussehra literally suggests. The 10-days running auspicious festival drives its deeper significance from the fact that the 10 days symbolise the battle between god Rama and demon king Ravana, which continued for 10 days until Ravana was killed on 10th day, which is called Vijayadashami. On the other hand, the legends also relate it to other mythological occurrence in which Durga, the goddess of power kills the demon Mahishasura. Celebrated in every region of the country with different names and different styles, the essence of Dussehra remains the same  a panorama of rich cultural heritage of the country, and building ones spiritual connection with divinity. In eastern part of the country (especially in West Bengal), Puja pandals with beautiful idols of goddess Durga are main attraction. In Gujrat, Garba and Dandiya dances are innate part of the festival, while in Mysore, 10-days royal Dasara include majestic procession and dance & music programme. Watch the Ram Leela: Watching the live performance of Ram Leela (dramatic presentation of Ramayana) constitute the most happening part of celebration. Watching live performance of Ram Leela is an amusing and informative cultural fest. 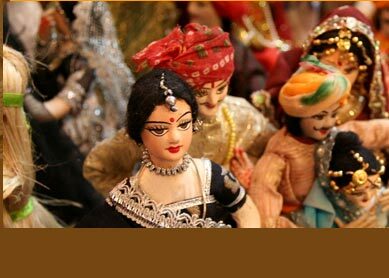 Enjoy the ruch of mela: Melas (fairs) are the inseparable part of Dussehra. Just rush to the huge gathering of people of all ages. After worshiping at the pandal is over, do glue to food stalls lined near the pandal. Find out the spiritual retreat: Many of the devotees of goddess Durga, during the 10-days festival, fast until the Vijayadashami. It is believed to be purgation of ones sins, and helps them attaining spirituality. See the effigy burning of Ravana: The last day of the celebration brings the presentation of last fight between Ram and Ravana. Watch the Ravana succumbing to the arrow of Rama, which is followed by the burning of grand effigy of Ravana and his associates, which marks the victory of goodness over evil.